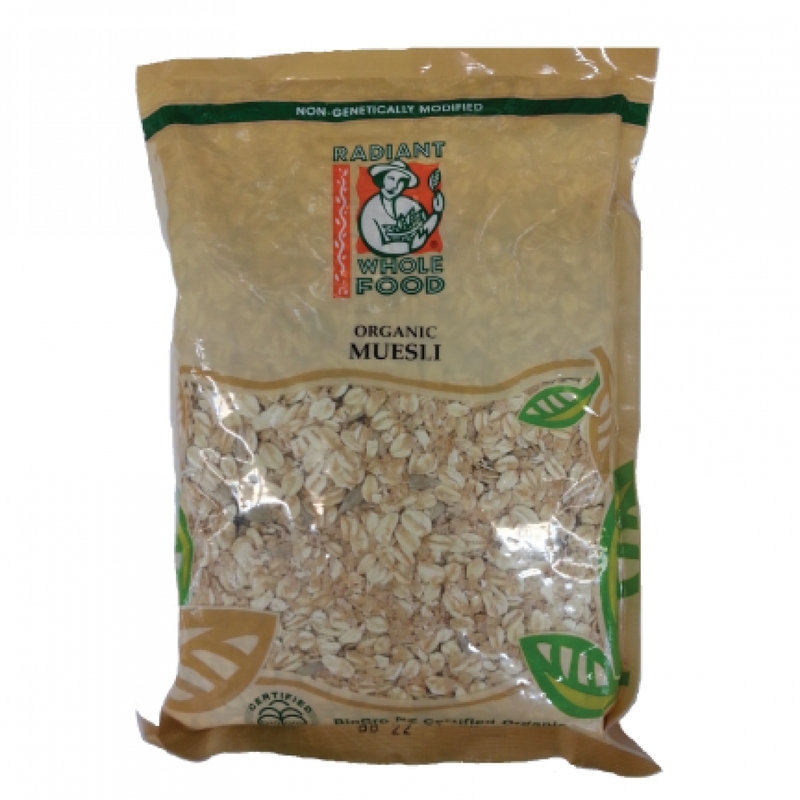 Radiant Organic Muesli is loaded with nature’s finest ingredients with a blend of unprocessed whole rolled oats, wheat bran, sunflower kernels and a rich mix of raisins, apricots and pears. It is high in dietary fiber and it relies on the natural sweetness of the fructose in fruits. Just add hot beverages, yogurt or hot water to a bowl of muesli. Lightly sweeten with agave nectar or honey if prefer.